Is your chimney in need of quality, professional repairs? Having trouble with nesting birds or smoke not escaping properly? You need to call ProRoofing today on 01202 518 763 for premier chimney repairs Bournemouth. Call us today to discuss your requirements, and we can survey your chimney and provide a no-obligation quote for any repairs you’d like completed. There are so many reasons your home’s chimney needs to be kept in full working order. Our professional team of tradespeople are well versed in all types of chimney repairs Bournemouth. No matter your requirements, we are able to help. A chimney can be damaged or suffer from reduced efficiency by a number of culprits; nesting birds, high winds, torrid weather, or freezing cold, and many others besides. These problems can easily cause a need for extensive chimney repairs Bournemouth. To that end, ProRoofing combines exceptional customer service with unbeatable results, and all at very competitive prices. Over the years, we’ve come across all types of damage, both severe and minor, and we’ve always completed the chimney repairs Bournemouth to the highest of standards. Sometimes, chimney repairs Bournemouth may not be enough to maintain safe and efficient use of your chimney. If that is the case, we can replace the chimney stack and make sure it is completely safe again. The options depend on the type of Bournemouth chimney repairs you require. A leaking chimney, for example, can have lead flashing installed at the junction between the chimney stack and the roof. This will prevent leaks from penetrating the roofing and causing water damage or rot on the inside of your home. A waterproof lining can also be added as part of the chimney repairs Bournemouth. This will be applied to the inside of the stack, so as to prevent any water damage that may permeate the leaking stack and cause internal water damage to your home. Further to the chimney repairs Bournemouth, we can offer a wide range of chimney caps. These caps are designed to prevent potential problems occurring after the completion of the chimney repairs in Bournemouth you require. The caps can aid with aspects of your chimney’s performance, such as; downdraft prevention, increased flue draw, and others. They will also prevent nesting birds from causing blockages and other such unwanted occurrences. 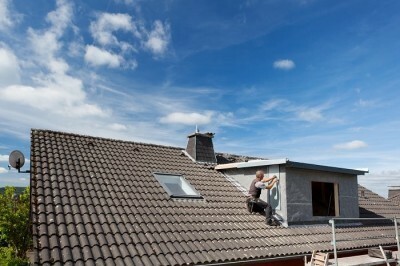 Why ProRoofing’s Chimney Repairs In Bournemouth? 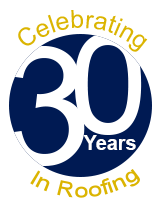 ProRoofing has been providing exceptional roofing solutions to both domestic and commercial clients for over 30 years. Our team possesses unrivalled experience and skill to deliver bespoke services that won’t be matched by any other providers of Bournemouth chimney repairs. Our experience and expertise in these fields are unbeaten by any other roofing companies, so you know where to come for the best services available. Much of our work comes from word of mouth and repeat clients, and thus our reputation must be maintained – and our team excel in this. We strive to go the extra mile for all of our clients so that they are more than satisfied with not only our results, but the polite, courteous, and diligent attitudes that our tradespeople display. If you’d like to enquire about our services or would like more information about any services we provide, or ProRoofing as a whole, there are several ways to do so. The easiest of which is to call us on 01202 518 763, and our expert customer services team will answer all our queries or get you booked in for a free survey and no obligation quotation. Some clients prefer to contact us in writing. To do this, you can use our quick and easy online form – simply fill it in, and we’ll respond in a timely manner. Alternatively, you can send us an email by sending it to office@pro-roofing.co.uk. If you ever have an emergency, we have an emergency 24-hour response service. If there is ever storm damage or other emergency circumstances, our team will respond as soon as possible to make your home safe and weather-proof again until more permanent repairs can be made if they can’t be completed straight away.